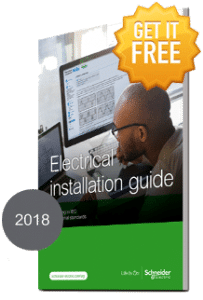 Designer, Consultant, Contractor, Panel builder, Facility manager, Student, teacher, Standardisation or certification experts… we all have to know and comply to electrical installation standards and regulations, in order to ensure the safety (and more and more the energy efficiency) of our customers’ electrical installations. These international standards, set by the IEC, are complex and keep evolving; as a result, we struggled to stay informed. As an example, are you aware that the IEC 60364 “Low-voltage electrical installations” part 4-42 “Protection for safety – Protection against thermal effects” has been updated in 2014, and that in particular it now includes recommendations for arc fault protection?